Iron Maiden is the ultimate Maiden book to cover every possible aspect of the band's amazing 40-year career. 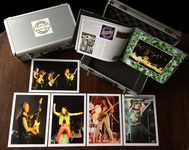 Iron Maiden is a celebration of the band, providing their full story in glorious detailed illustrations including posters, flyers, backstage passes and rare prints of the band's most high-profile gigs and iconic moments throughout history. Fans can now get closer to the band than has ever been possible before. 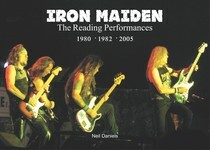 The full history of Iron Maiden is included. 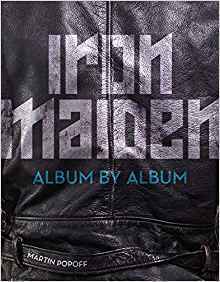 As well as an album-by-album account of all their studio recordings (from the debut album Iron Maiden to their 2015 offering The Book of Souls), there are biographies of the most notable members (from Bruce Dickinson to The Guv'nor). Discover the true meaning behind the greatest hits of the band here. Written by a leading music journalist and featuring previously unpublished interview content, Iron Maiden is the ultimate interactive celebration of the iconic rock group. Iron Maiden gives the reader a front-row seat (and backstage pass) to the career of these true legends of heavy metal. We accept Credit and Debit cards or you can use your PayPal account to make payment.